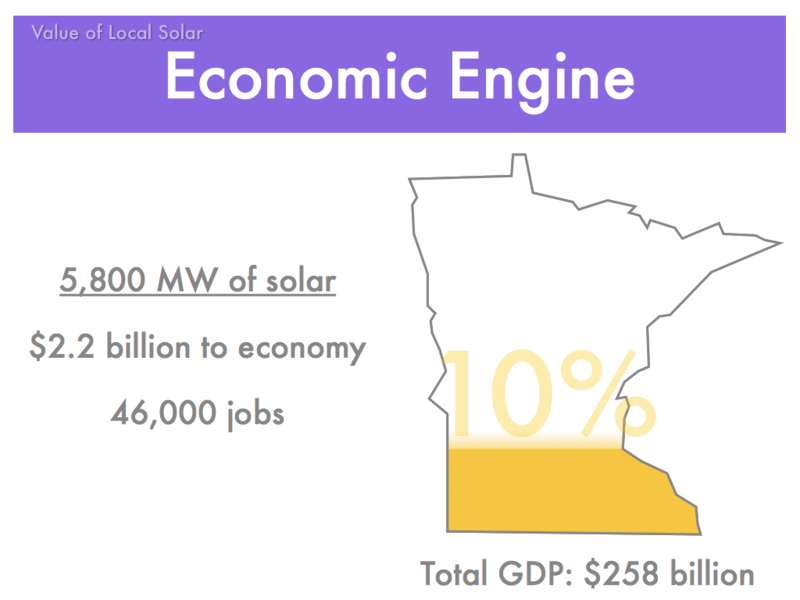 The low risk and transparency of CLEAN Contract Programs can provide states with more solar at a lower cost than solar renewable energy certificate (SREC) programs, says a new report released last week. Produced by the Institute for Local Self-Reliance (ILSR), CLEAN v. SREC: Finding the More Cost-Effective Solar Policy finds that an otherwise identical solar project installed for $4.00 per Watt in the nation’s second-largest solar market, New Jersey, costs ratepayers 20 percent more when financed by SRECs rather than CLEAN Contracts. CLEAN Contracts finance solar power development by requiring utilities to offer long-term (e.g. 20-year) contracts on a first-come, first-served basis at per-kilowatt-hour prices sufficient to attract solar development. The policy (under various names) has provided financing for nearly 90 percent of the world’s solar power. In contrast, SRECs represent the environmental value of a megawatt-hour of solar electricity. Their price is high when there is a shortage of solar and low when there is a surplus of solar relative to the state’s mandated quantity. This “market-based” mechanism served eight U.S. states fairly well until recent oversupply crashed nearly every state SREC market simultaneously. The report details the major differences in the two solar policies, focusing on the risk factors for developers. In all categories – including policy transparency, longevity and certainty – CLEAN Contracts make the process of developing solar projects less complicated and less risky. CLEAN Contracts also more accurately price solar power than SRECs, because the former provides a modest return on investment based on the actual cost of installing solar power projects while the latter represent the surplus or shortfall of solar relative to a state-mandated demand for solar (and can fluctuate wildly). The result is that CLEAN Contracts deliver more solar power at a lower cost. 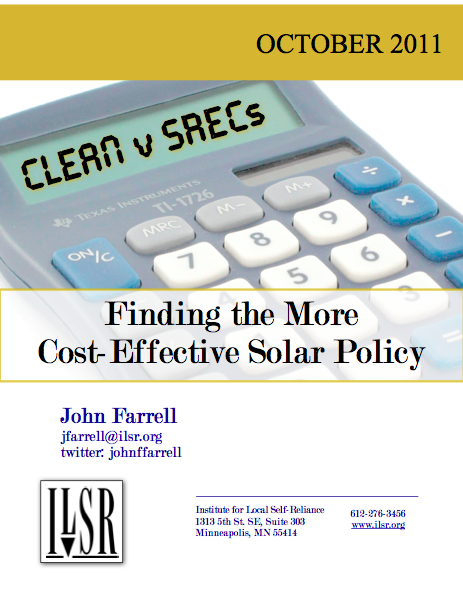 CLEAN v. SREC: Finding the More Cost-Effective Solar Policy can be downloaded on ILSR’s Energy Self-Reliant States website at http://energyselfreliantstates.org/content/clean-v-srecs-finding-more-cost-effective-solar-policy.